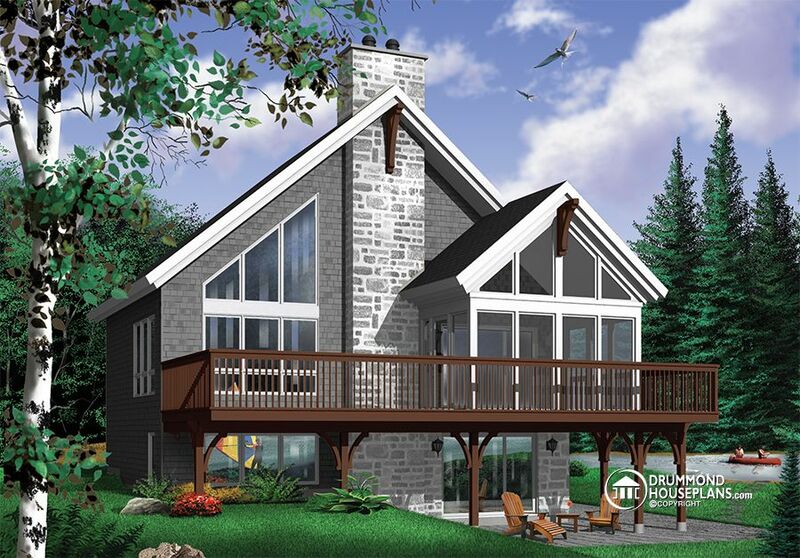 Originated from popular Drummond House cottage plans # 2908, # 2942 and # 2915 (which you can see on drummondhouseplans.com) this simple and rustic chalet house plan # 6922 is an even more comfortable version with and additional 225 square feet spread over the three floors, a desirable mezzanine, a lovable terrace and an increasing popular trend: a screened in porch. 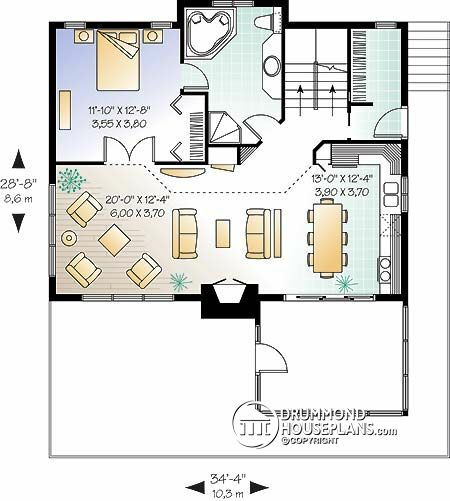 A rustic chalet house plan with a great layout! Inside, there are beautiful spaces including a large living room with central fireplace opening onto the eat-in kitchen, a beautiful master bedroom with French doors overlooking the panorama. A guest bedroom in the mezzanine area will make guests want to come back! 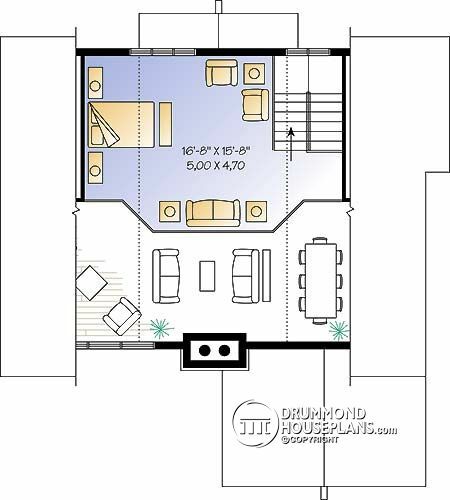 Not to mention the basement with two appreciable bedrooms, a shower / laundry room, a storage room and a beautiful living room with wood stove. Outside, the use of cedar shingles and stone give this chalet a distinct look, emphasized more by the columns with elongated braces supporting the superb terrace. 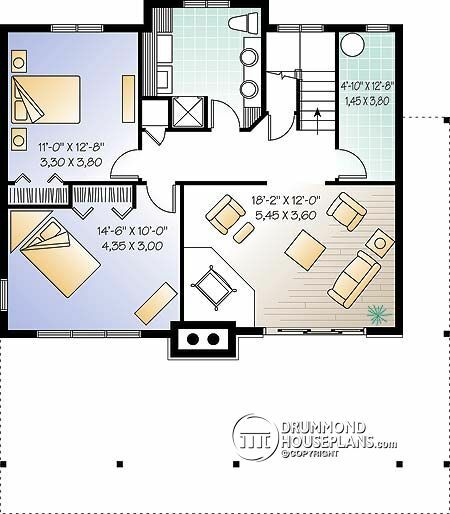 Looking for the perfect small chalet house plan or cabin house plan? Have a look at our collection!